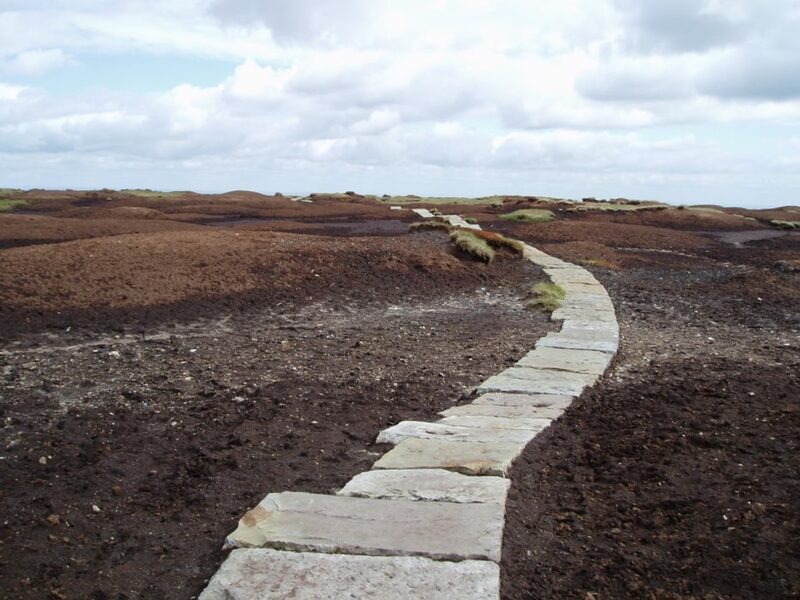 Within 20 years of opening, the popularity of Britain's first long distance path was such that the Pennines' fragile peat surfaces were suffering serious erosion. As walkers tried to dodge the boot-sucking bog, the path widened and the problem steadily got worse, no more so than on the top of Black Hill in the Peak District where the trig point was marooned in a sea of near-liquid peat. Among its victims was guidebook writer Alfred Wainwright, who had to be pulled bodily from the quagmire. Something had to be done about it: but what? 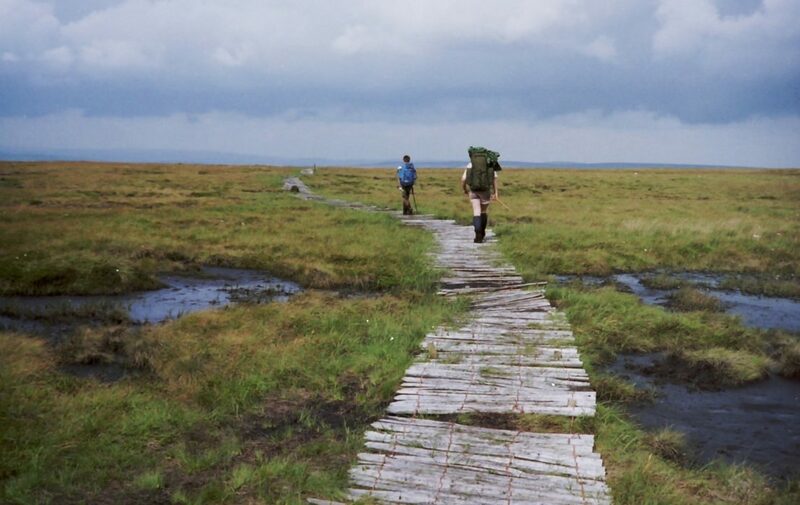 By the mid 1980s, it was clear that sections of the Pennine Way were in serious trouble, principally where the heavily used path crossed fragile, peat-based moorland. The worst damage was in the Peak District and South Pennines. After years of official inaction, the case for some sort of intervention was irrefutable. 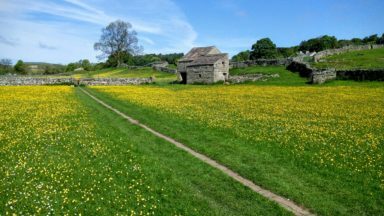 In 1987 the Peak District National Park Authority and the Countryside Commission established a three year management project to examine ways to repair the worst-eroded sections. 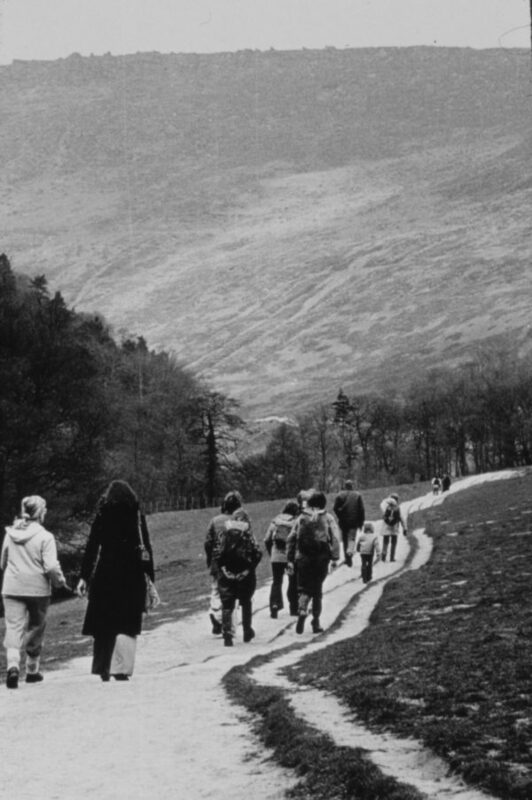 They had found that, since a survey in 1971, the Pennine Way had widened dramatically in certain places as successive walkers tried to avoid the exposed and glutinous peat – which of course only made the erosion worse. What was once a 2m (6ft) wide path on Black Hill had increased to 22m (71ft) across, while between Slippery Moss and Redmires to Blackstone Edge the width of bare path had grown by a staggering 900 per cent! 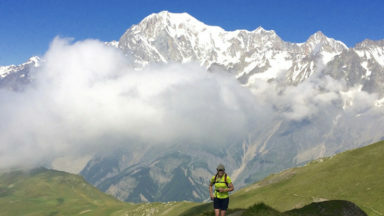 In the first phase of the project, led by Molly Porter, various techniques were trialled, some with more success than others. 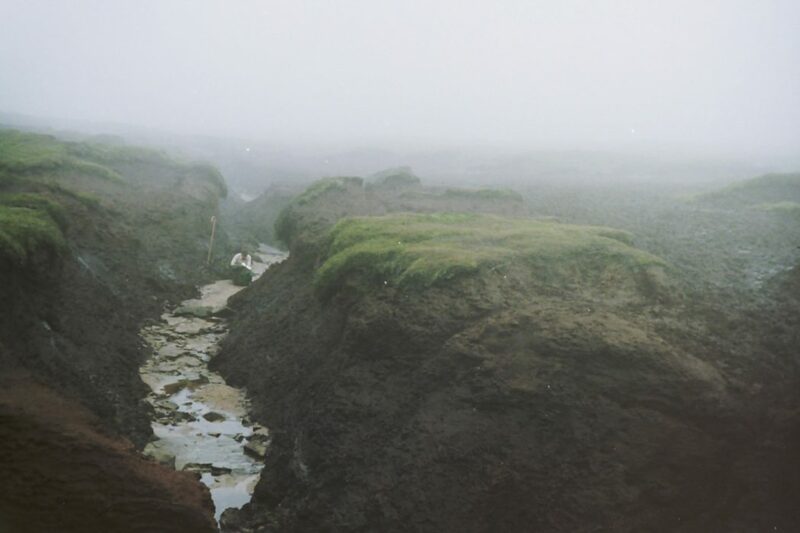 Since digging out the peat to the bedrock was not a realistic option, most techniques involved floating an artificial path on top of the soft surface. There were wooden duckboards, strips of black plastic matting anchored to the ground, elaborate raft paths that floated on geotextiles, and even sheeps’ wool. Chestnut fence palings, wood chippings and brash were laid in long lines to try to provide a firm walkway across the peat. Most ended up succumbing to the harsh Pennine weather and themselves became eyesores and tripping hazards, so were later removed, but it was valuable experience and lessons were learnt. Some techniques were truly experimental, such as the construction of a short path on the summit of Snake Pass consisting of expanded polystyrene blocks covered with loose stone. It was based on road construction methods over deep peat sites in southern Norway, which effectively allowed the highway to float. Initially the results were very encouraging, but heavy downpours and poor drainage made the blocks too buoyant and caused them to split. The path began to wobble alarmingly, much to the consternation of passing walkers. In 1991, after the failed experimental surfacing techniques, the team began introducing traditional methods of repair using stone paving and, on some of the steeper slopes, stone pitching. It would prove to be the most long-lasting solution, as well as arguably the most appropriate, because from the beginning the choice of remedial action was based on a careful assessment of the location and a desire to respect the essential wild character of the upland landscape. The flagstones came from the floors of derelict mills in the West Pennines. They were destined to be broken up as waste but instead were lifted, packed in crates and flown by helicopter to the Pennine Way. The large rectangular slabs of Bacup sandstone were placed rough side (underside) upwards in order to give maximum grip to walkers’ boots. Laid directly onto the ground, in effect they float on the soft peat as their size spreads the surface area loading. As far as possible they were laid in gentle curves, following natural undulations and contours, and so avoided artificially straight lines. Since the stones were recycled, they already had 150 years of weathering and didn’t have the look of newly quarried material. Some still had drilled holes that were once used as the footings of looms. ‘We were aiming to recreate the traditional techniques of causey paving and stone pitching that have been used for centuries on the packhorse routes across the Pennines, but adapting them for a modern recreational route,’ explained Mike. ‘Look at places like Blackstone Edge on the Pennine Way, or Stanage Edge in the Peak District, for examples of these old surfaced routes. We used natural local stone originally cut from the Pennine hills for use in the mills and factories. And now we were returning that stone to the same hills. The stones are natural products and part of the Pennine landscape.’ It’s an interesting reversal of the process described by Ted Hughes in his poem ‘Hill-stone was Content’, in which Hughes wrote of the Pennine stone being cut, carted and ‘conscripted’ into the mills, forgetting ‘its wild roots/Its earth-song’. There’s an uncanny but powerful sense of coming full circle. Stones that were originally quarried from the Pennine hills were used to build the mills that fed the Industrial Revolution; the workers looked to escape the weekday drudgery by rambling in the same hills; when they finally achieved decent access people were able to walk for leisure, and some of the moorland paths became eroded. Repairs were needed. When the mills closed down the redundant stone was returned to the hills to form durable and lasting pathways. How neat is that? 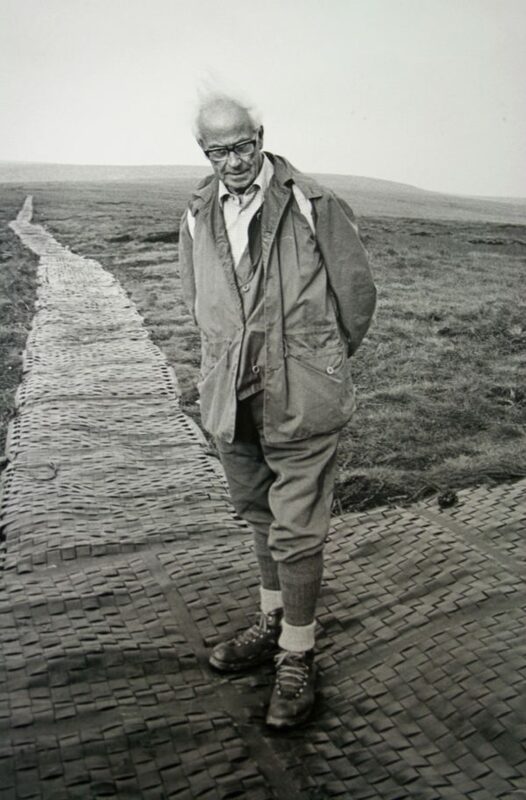 However, paving the Pennine Way was only part of the story. The next phase saw the re-vegetation of the surrounding ground, which had begun in earnest with the management project in the 1990s. 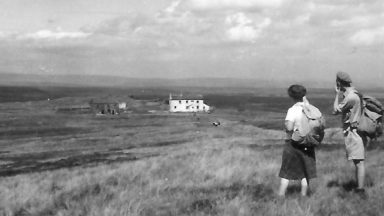 An initiative called Moors for the Future was launched in 2003: this ambitious partnership of public and private bodies before long ran one of the biggest moorland conservation projects in Europe. Such was its success that in 2015 the partnership received the largest ever award made by the European Union to a UK-based nature conservation project – the small matter of 16 million euros (over £12 million) for its MoorLIFE 2020 project. It began by installing new hilltop fencing to control sheep numbers and prevent overgrazing, then launching fire awareness campaigns, since over 400 fires have been recorded on the National Park’s moors since 1982, many with devastating consequences for the moorland vegetation. Around 10,000 tiny dams were constructed to prevent damaging surface run-off (a technique known as gully blocking), and systematic fertilisation and reseeding began. In addition, over 750,000 plugs of native moorland plants were planted (by hand!) and sphagnum moss was reintroduced to begin the long process of restoring the blanket bog and stabilising the peat. Funding also came from the water utility companies, who spend millions of pounds each year treating water discoloured by peat washing off the eroded hillsides. 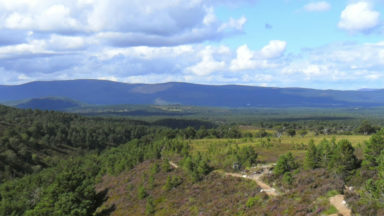 There were separate initiatives to replant clough woodlands on the edges of the moors, and a community science project to help people better understand moorland ecology, since research into moorland conservation techniques was integral to the Moors for the Future programme. 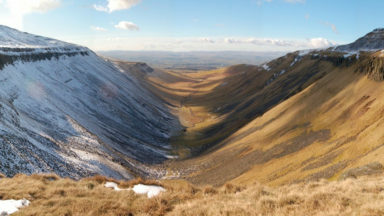 If you’re wondering how relevant all this is to a walk along the Pennine Way, then read Wainwright’s description of Black Hill in the 1960s in his Pennine Way Companion, or look at photos of walkers floundering on Kinder Scout in the 1970s and 80s. 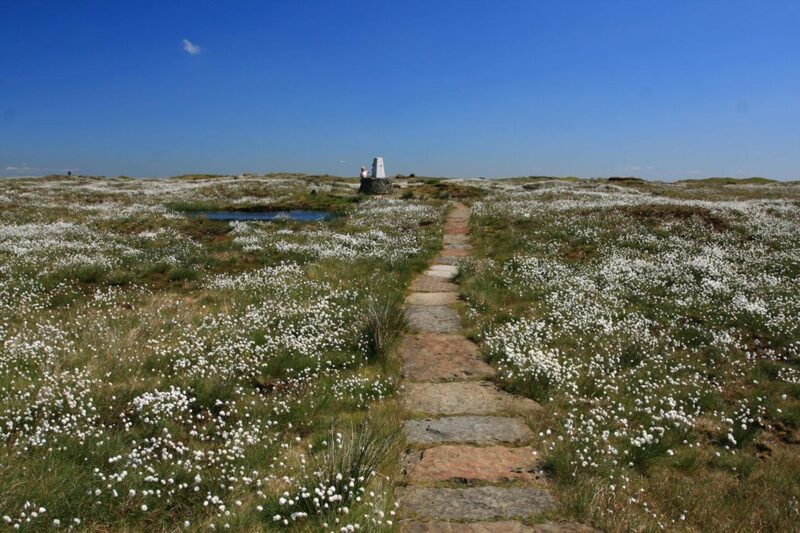 There are still visible scars on Featherbed Moss where successive Pennine Way walkers tried to dodge the worst of the bog (the average ‘trample width’ here was measured at over 52m (170ft)); the first mile out of Edale across the grassy expanse of Grindsbrook Meadows on the original route was once eroded into so many parallel paths, thanks to the tread of walking boots, that ex-National Park ranger Gordon Miller described it to me as the Pennine Way motorway – three lanes north, three lanes south. The transformation has been startling, and walking the Pennine Way through the Peak District is now a much more pleasant experience. However, Martyn Sharp is at pains to point out why the work was carried out in the first place. 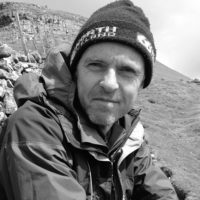 ‘People have to understand that we didn’t put the slabs down to make the Pennine Way easier to walk but to protect the rare habitats,’ he said. ‘We took some criticism over the slabs to start with, but the older paving stones have blended in and the vegetation has grown back around them really well.’ In fact, it’s done so well that Martyn now has to strim vegetation encroaching the path at one point. 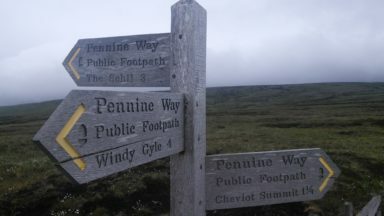 The Pennine Way 'experience' – why do we do it?